Freeport, Bahamas - Over 20 participants set out on a recent birding field trip out east. Transportation was provided by Garden of the Groves and Kalabash Eco Adventures. 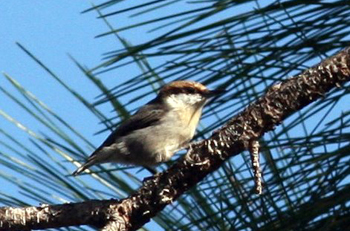 The first stop was made in the pineforest off Grand Bahama Highway where everybody was excited to observe the Brown-headed Nuthatches, one of the rarest species in the Bahamas. 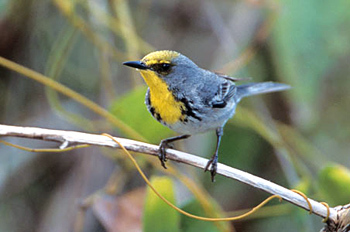 A "lifer" for several in the group was also the Olive-capped Warbler, a bird of the pineforest canopy that can only be found on Grand Bahama and Abaco. The birders continued on to McCleans Town, where a member of the Grand Bahama Birding Group, Rudy Sawyer, had explored a new trail that he wanted to share with the group. Rudy and his wife were welcoming everybody in their weekend retreat with freshly baked muffins, coffee and tea. Then the group set off for the trail and they were richly rewarded with a variety of Bahamian Speciality birds and migratory species. 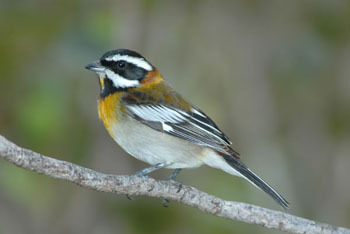 There was an abundance of Western Spindalis of the green-backed variety (Spindalis zena townsendi) which is only found on Grand Bahama and Abaco. 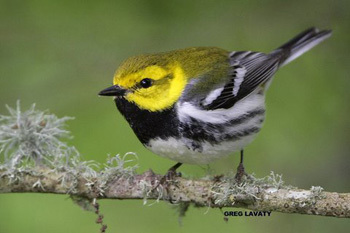 Among the migrants was a Black-throated green Warbler, a rare to uncommon winter visitor. There was no doubt that the highlight of the trip would be a rare sighting of the West Indian Woodpecker, a bird that had not been seen on Grand Bahama Island since the hurricanes of 2004 and 2005. Even the Abaco population of the bird had been decimated by the storms and is slowly recovering. It is assumed that this bird made its way back to Grand Bahama via the northern Abaco chain of cays. After having observed 31 species for the morning and a delightful lunch at Rudy's place the group returned to Freeport. There was total agreement that this trail is an exciting addition to the many productive birding sites on Grand Bahama Island. If you are interested in participating in this year's Christmas Bird Count to be held on Saturday, January 7th, 2011 please call Garden of the Groves at 374-7778.